sold sold sold sold sold!!!!!!!!!!!! THIS IS A SUPER CLEAN HOT BODIES TC CAR.. 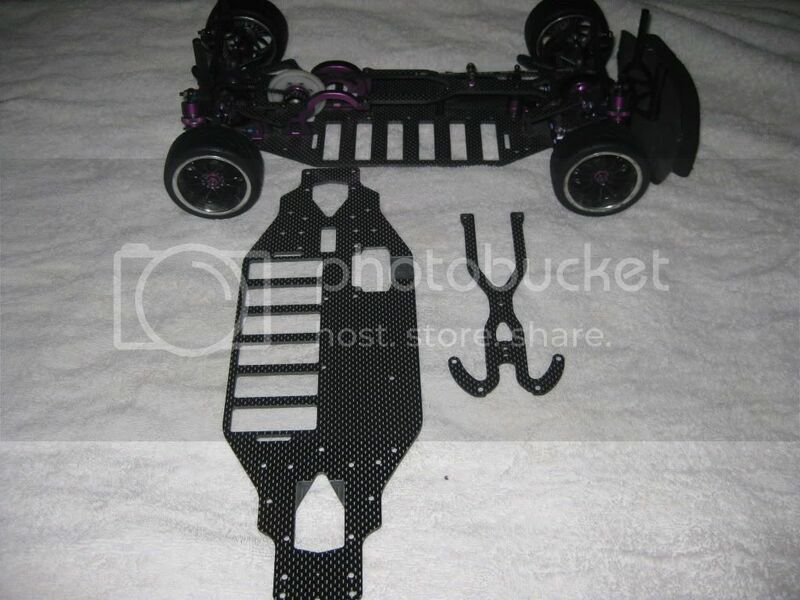 RIGHT NOW THE CAR IS SET UP AS A BMI FOAM CARPET CONVERSION + IT COMES WITH A BRAND NEW H/B TC CHASSIS PLATE AND TOP DECK. SO YOU CAN REALLY RUN IT ANY WHERE ON ANY SURFACE DEPENDING ON HOW YOU SET IT UP.. 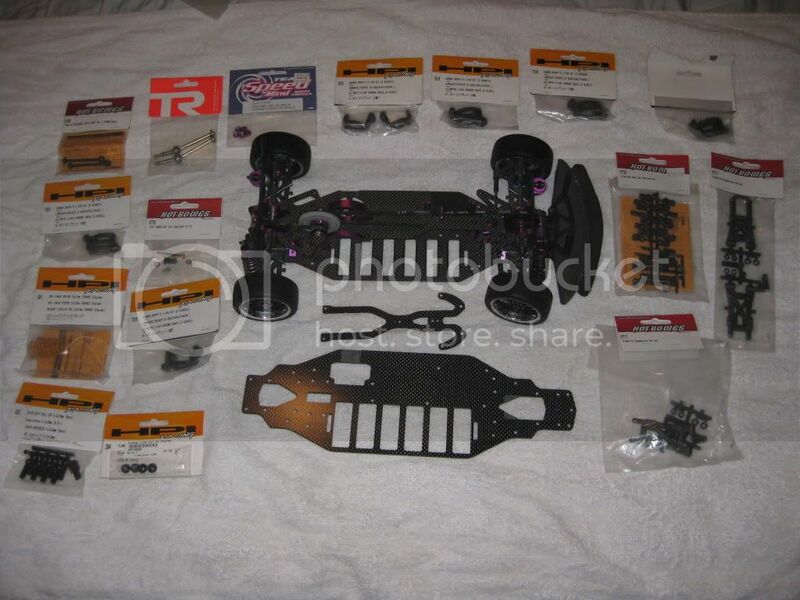 THERE ARE SO MANY SPARE PARTS THAT COMES WITH THIS CAR I CAN EVEN LIST THEM ALL BUT I TRIED TO GET SOME GOOD PICS.. YOU WILL SEE THE PIC OF ALL THE BRAND NEW PARTS UNOPENED AND THEN YOU WILL SEE THE PIC WITH THE SPARE PARTS OUT OF THE PARTS BOX THAT IT COMES WITH.. 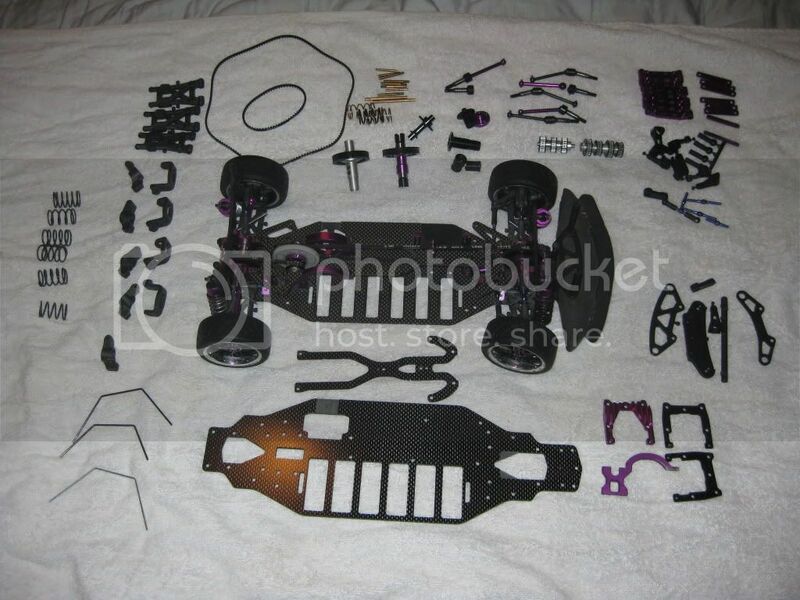 I COULDNT LAY ALL THE SPARE PARTS OUT SO I LAID OUT THE BIGGEST MOST SIGNIFICANT PARTS. THERE IS ONE THING THAT IS NOT IN THE PICS THAT IS PRETTY BIG THAT COMES WITH THIS AS WELL, ITS THE BRASS PLATE THE FITS IN THE BATTERY SLOTS TO HELP MAKE UP THE WEIGHT FROM THE OLD ROUND CELLS TO THE NEWER LIGHT WEIGHT LIPOS. """" IF ANYONE IS NOT SURE WHAT THIS IS I WILL TAKE A PIC AND POST IT JUST ASK"""""THE TIRES ON THE CAR ARE THE HPI X PATTERNS I THINK THEY ARE THE 4495 SERIES BUT I CANT REMEMBER BUT I DO KNOW THEY ARE THE ONES ALL THE FLORIDA GUYS ARE RUNNING IN (RCGT)..
Last edited by DOUGHBOY; 04-24-2011 at 05:07 AM. All times are GMT -7. It is currently 09:53 PM.